Share and show off your apps! All apps in this "appstore" are free! 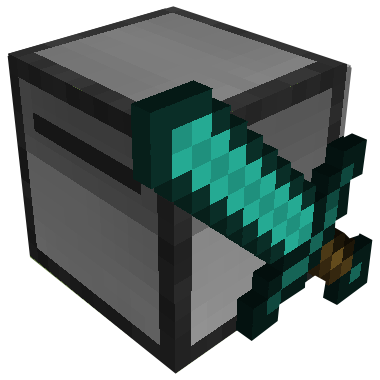 ComputerCraft is a Minecraft mod that adds programmable robots to the Minecraft world. These robots, called turtles, can be programmed in the Lua programming language to mine, build, and create automated factories. Join TurtleAppstore.com for free, browse for apps made by others, and share the apps you create! Every app in our "appstore" is free! 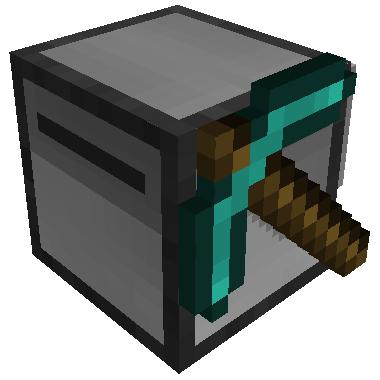 Download and install ATLauncher and the ComputerCraft mod for free. 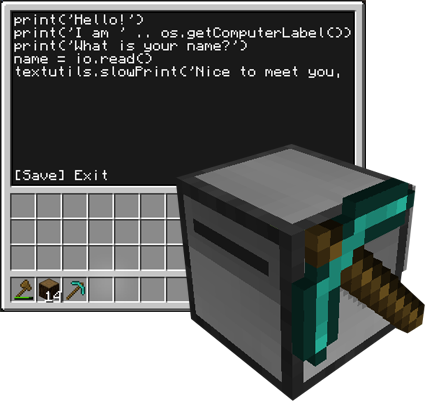 Run Minecraft and craft a turtle robot. From the turtle's command line, run pastebin get iXRkjNsG appstore to install the appstore app. Browse TurtleAppstore.com to find turtle apps. Upload your own apps to TurtleAppstore.com. 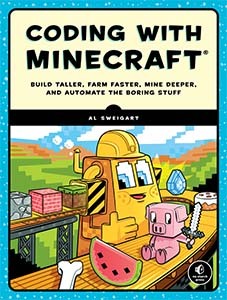 You can learn how to program from Coding with Minecraft: Build Taller, Farm Faster, Mine Deeper, and Automate the Boring Stuff by Al Sweigart. This book is also available under a Creative Commons license, so you can read it online for free. 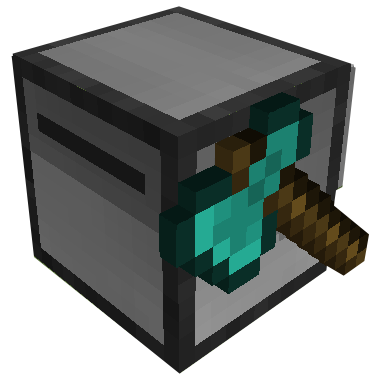 Find and share ComputerCraft scripts. Al Sweigart is the software developer behind TurtleAppstore.com and the author of several programming books, including Automate the Boring Stuff with Python and Coding with Minecraft. He releases his books under a Creative Commons license, so they are free to download from his website, InventWithPython.com. He lives in San Francisco, CA and his cat weighs 12 pounds.